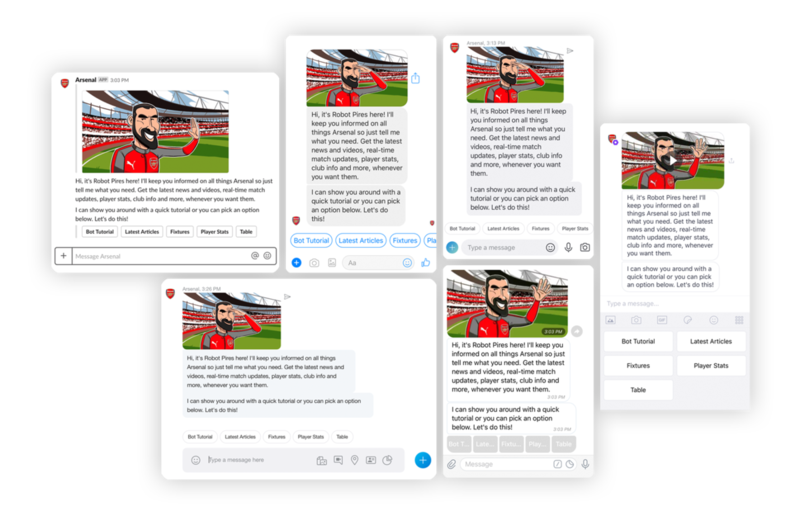 GameOn built the world’s first ChatOS, a complete ecosystem of high performance messaging and content services that connects you to your users wherever they are chatting. 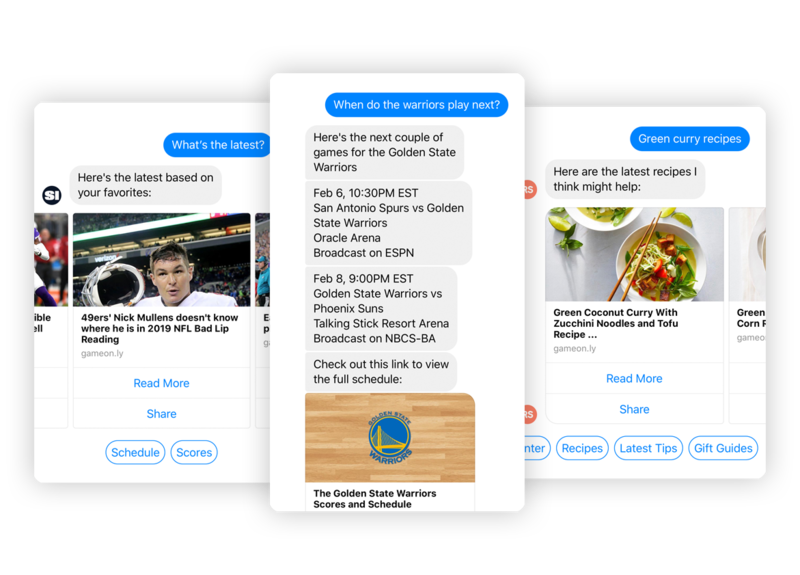 We are experts in launching custom chatbots for some of the world's biggest brands and media companies on the platforms your fans are already using. Industry leading, robust product with ecosystem of highly performant and scalable integrations to all your content sources standard out-of-the-box. Built for flexibility. Built for speed. Built to scale. GameOn's Development Framework dramatically reduces costs and eliminates technical overhead. Developers are free to focus entirely on end-user features, building complex voice and messaging applications in days as opposed to months. 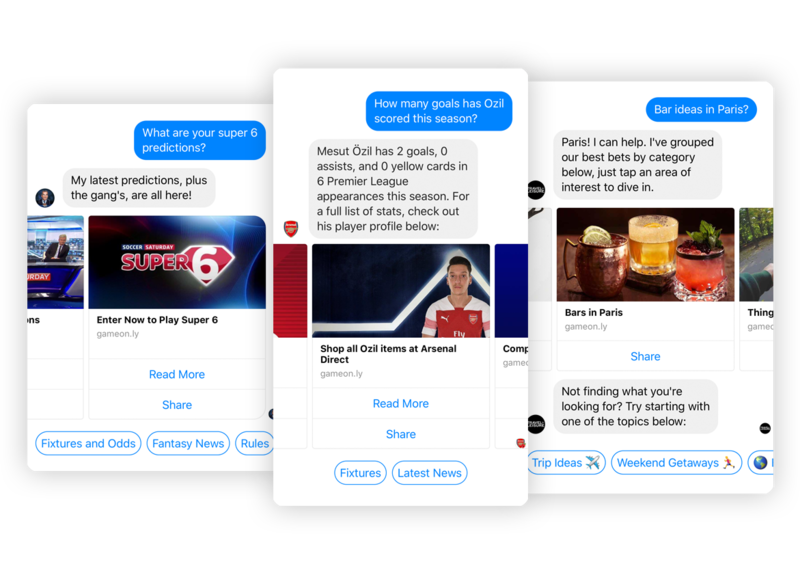 GameOn's Content Service seemingly integrates disparate data sources - customer feeds, APIs, and 3rd party data - allowing you to broadcast your content to your fans everywhere and at anytime. GameOn's agnostic infrstructure and proprietary inbound/outbound delivery services enable a single application to run across all voice and message platforms effortlessly. GameOn's platform consistently delivers best-in-industry user engagement by utilizing user-specific data and context to serve relevant, real-time content, monetizable through an end-to-end programmatic ad solution supporting a suite of industry-first ad units. GameOn's Analytics Service delivers unmatched data on user behavior, content engagement, and click-through tracking that provide actionable insights that are driving industry-leading KPIs and real business outcomes.